Are you a music lover or a home theater aficionado? Basically, I'm an absolute music lover because I make music. When I play the guitar, I put a lot of emphasis on getting the exact sound I have in my mind. Of course, I also want the music I hear to sound exactly as it’s intended. Home theater is a rather subordinate role for me. However, I love watching movies or playing video games and getting into the scenarios. It's exciting to close your eyes for a second and feel like you’re in the movie. Before 2018, I had a "normal" home theater system from a well-known German manufacturer. Unfortunately, I was never satisfied with the sound of the speakers. Something was missing. My dad, Jörg, is an absolute hi-fi freak and believes in order to listen to music properly, the sound should be mind-blowing. He recommended I check out Klipsch. I'm from Northern Germany, and unfortunately the next Klipsch dealer, MD Sound in Franconia, is roughly 155 miles away. I contacted them and received advice over the phone. 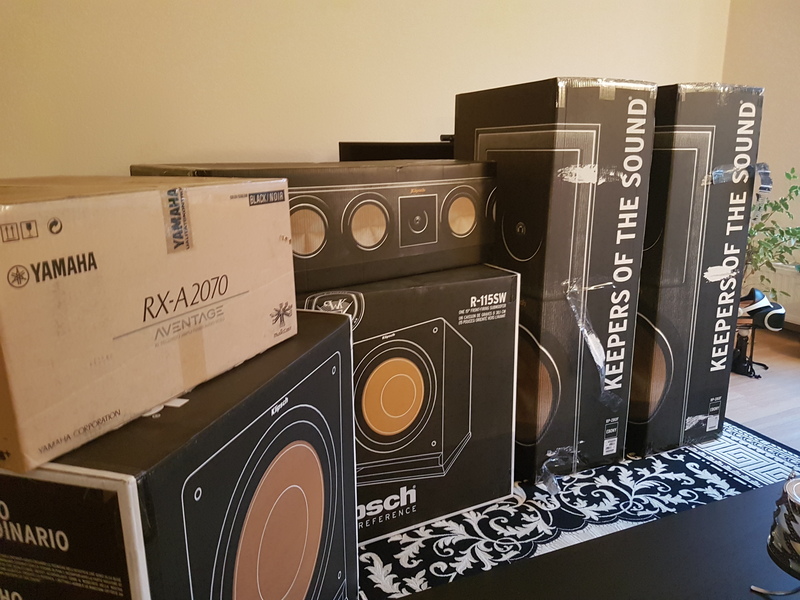 I must confess that I ordered all the speakers, based upon the seller's recommendation, without listening to them...and I don’t regret it. It’s hard to say what I like most about the system. I love every piece. Klipsch is powerful, even if you listen to music quietly. When I operate my amplifier at minimum volume, my sofa vibrates when the bass kicks in. I also love how evenly the sound is distributed throughout the room. I live with my girlfriend, Svenja. In the beginning, she declared me crazy. She didn’t hear a difference between the old and new system. Her opinion changed over time as I dialed in the system correctly. She was impressed when I played it loud for the first time. Sometimes I come home and she is listening to her favorite music at full volume. She did not do that before. 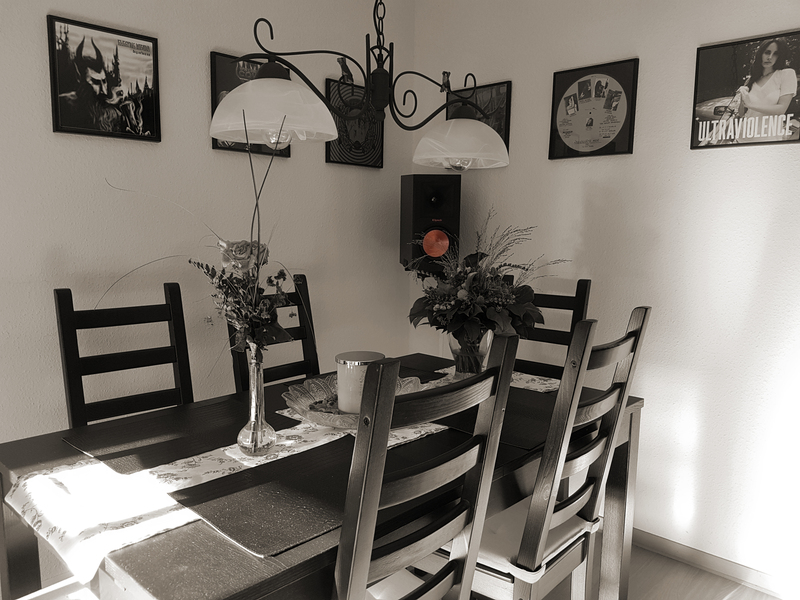 When a guest listens to your Klipsch speakers, how do you want them to feel? I want their jaws to drop. Put simply, I want them to be fascinated by the diversity of the system. Everyone who has heard them has been impressed. A few of my friends now want to switch to Klipsch speaker systems. My only neighbor is 96 years old and does not hear well anymore. I think this is good for me.  Of course it's great to hear music loudly, but I think it's worth having a pair of Klipsch speakers, especially for full sound, even at lower volumes. Saturday rolls around and it's just you and your Klipsch home theater system. What do you do? What do you play? So, what's next in your Klipsch system? Any items you've been eyeing? I think I will buy The Three for my office, so I can listen to music while working. For my home studio, I would like to buy two more RP-160M to be used as monitor speakers. Please list the components in your system. And tell us the story behind the classic hi-fi poster above the TV. The poster prepares my guests for what will happen when I turn on the music.  I have always liked the motive. I think it reflects my lifestyle a little bit. I also love old pictures. There’s not a single color picture in my house (except vinyl records). I simply had to hang the poster there. Finally, I would like to thank Klipsch for the "Monday Showcase Award", as well as for the wonderful speakers you have built. They are now part of my home and my life. 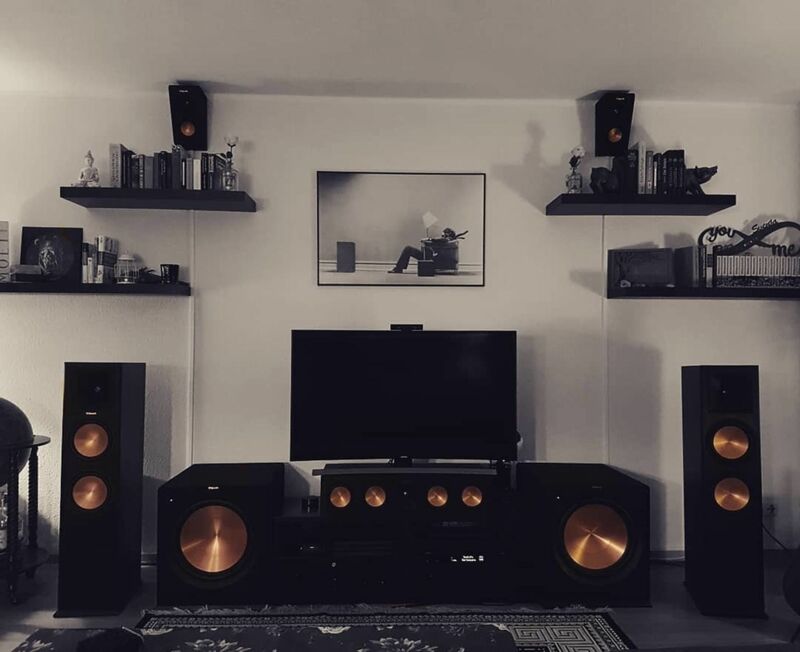 My Setup: Yamaha RX-A2070, Samsung UE48JU6640U, Klipsch RP-280F Front Speakers, Klipsch RP-450C Center Speaker, Klipsch RP-115SW Subwoofer, Klipsch RP-140SA Atmos Speakers, Klipsch RP-160M Rear Speakers. Want a chance to be featured? Tag @klipschaudio #mondayshowcase in a photo of your home theater setup and be sure to list components.